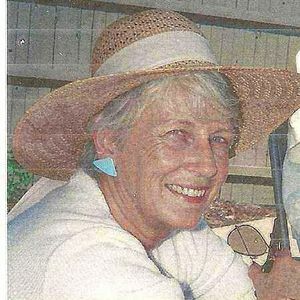 Marie H. Chiarenza, 78, of Mechanic Street, Attleboro, a beloved wife and mother, passed peacefully on May 1, 2012 in the Philip Hulitar Inpatient Center, Providence surrounded by her loving family. She was the beloved wife of the late John J. Chiarenza, MD. Born Marie Sullivan in Boston on April 18, 1934, she was a daughter of the late Vincent and Helen (Riordan) Sullivan. Marie was raised and educated in Quincy, and was a graduate of Emmanuel College. She worked as a buyer for Filenes in earlier days and later as an office manager in her husband's medical practice. Marie enjoyed boating, participating in many sailing regattas in Quincy Bay as a young girl, and later enjoying power boating and fishing with her husband. She was a longtime member of the Attleboro Power Squadron, where she also served as Commander. She also liked to spend time tending to her plants in her garden. Marie will always be remembered for her devotion to her family, friends, and her faith. Marie is survived by her four children; John Chiarenza of Miami, Florida, Mark T. Chiarenza and his wife Jean of New Hampshire, Michele Anderson and her partner John Morris of Attleboro, and Jeanne Belgeau and her husband Robert of Fort Pierce, Florida, three brothers; Vincent Sullivan of Hanover, Roger Sullivan of Rehoboth, and Paul Sullivan of Pensacola, Florida, a sister; Rosemary Tulis of Escondido, California, three grandchildren; Kevin M. Anderson of Attleboro, Kathryn L. Anderson of Attleboro, and Ariana M. Chiarenza of New Hampshire, and many nieces and nephews. Funeral arrangements are entrusted to the Duffy-Poule Funeral Home, 20 Peck Street, Attleboro where the Chiarenza family will receive friends on Friday, May 4th from 4 PM – 8 PM. A funeral will be conducted on Saturday, May 5th at 9 AM from the Duffy-Poule Funeral Home followed by a Mass of Christian Burial at 10 AM in Holy Ghost Church, 71 Linden Street, Attleboro, celebrated by the Rev. John Murray, Pastor. Marie will be laid to rest in Newell Burying Ground, South Attleboro. In lieu of flowers and for those wishing to remember Marie in a special way, memorial contributions in her memory may be made to: Home & Hospice Care of Rhode Island, Philip Hulitar Inpatient Center, 1085 North Main Street, Providence, RI 02904, or Sturdy Memorial Foundation, Inc., P.O. Box 2963, 211 Park Street, Attleboro, MA 02703, or SmileTrain USA, 41 Madison Avenue, 28th Floor, New York, NY 10010. So Sorry to hear about your mom Michelle. May time heal your heartache. I first met Marie in the mid 80's when she and John both joined the Attleboro Power Squadron and I had transferred from the Nobscot PS the same year. She and John became good friends of ours and both will be missed. She was a student of mine for several courses that I taught and I will always remember her to have her own opinion(s) on almost everything. I will certainly miss her warm and sparkling personality. Our friendship blossomed at flower beds and front porches. Our conversations with Marie and John will long be remembered. What wonderful neighbors. Our prayers are with you now. I worked for Dr. C and with Marie from the fall of 1984 until Dr. C's retirement. They were a wonderful couple to work with. I will miss the Christmas correspondence we had over the years. My sincere sympathy to the family. Marie....I will always remember wonderful evenings and delicious meals shared with you and John, and memorable days fishing with you both. May you rest in peace my dear friend. Although I may not have known Mrs. Chiarenza for very long. I do have very fond memories of our litte chats. We talked about Art, Family, and Our Love of Hats and the Sea. I will miss her, and keep her family in my prayers.